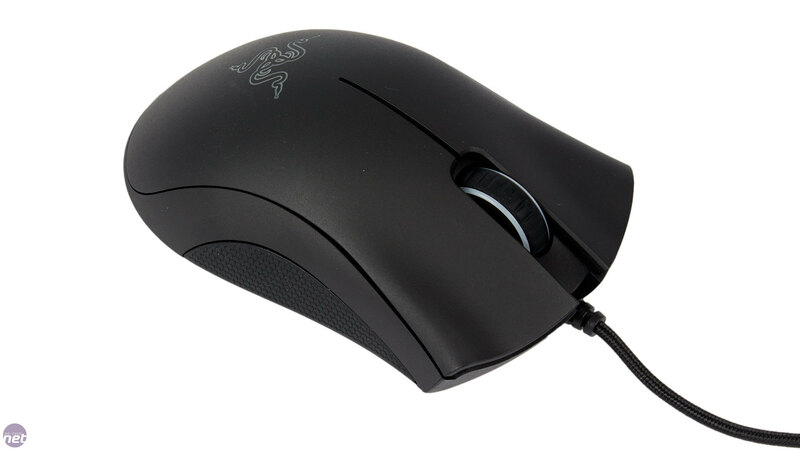 We first saw a Razer DeathAdder mouse way back in 2007, when it won an award. 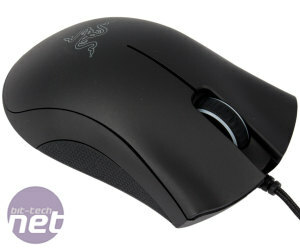 Since then, Razer has kept the product line going strong with relatively regular updates. 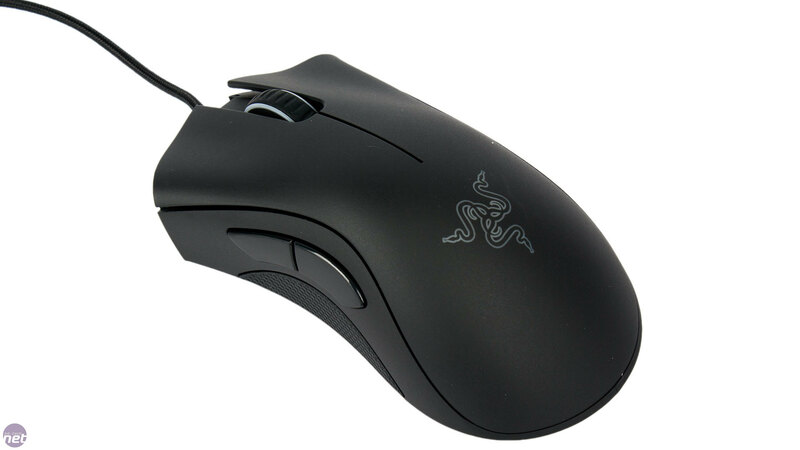 The latest version is the DeathAdder Chroma, which throws customisable RGB lighting into the mix, just as we also saw with the BlackWidow Chroma keyboard. 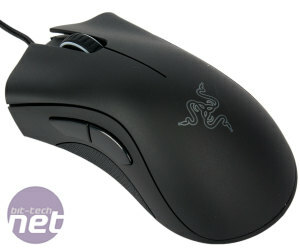 The DeathAdder Chroma is a five button mouse that uses an optical sensor capable of tracking at a ridiculous 10,000 DPI. That said, the sensor hasn't actually changed from the Avago S3988 found in the previous model, the DeathAdder 2013. This is a 6,400 DPI sensor so Razer is using interpolating to reach the higher levels, which we can't see many using anyway. Update: Razer has been in touch to inform us that the sensor in the Chroma is actually native 10,000 DPI, and not a 6,400 DPI model with interpolation as we previously said. 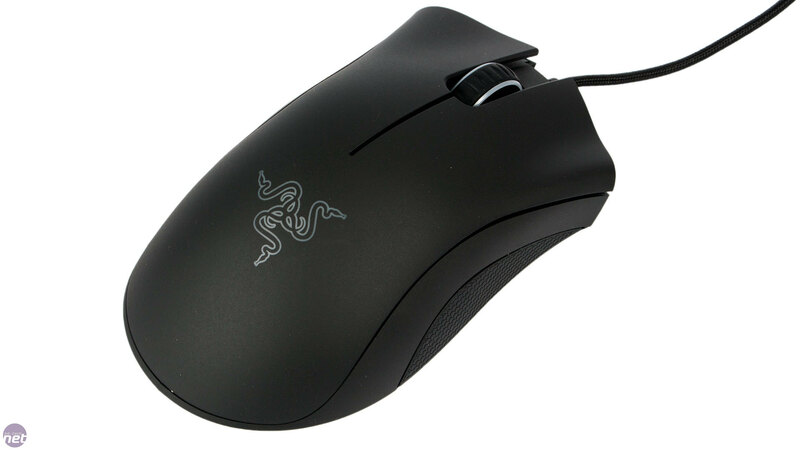 Specifically, the DeathAdder Chroma uses the Avago S3989 sensor, not the S3988. 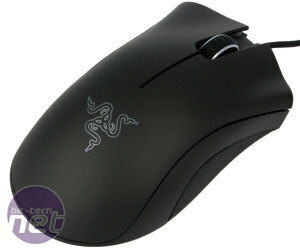 The confusion arose because earlier models of the mouse shipped with the new sensor wrapped in the body of the old one. We apologise for this error, although still stand by our statement that we can't see the new higher levels of DPI being of much practical use; even on a 4K screen settings between 8,000 and 10,000 DPI felt far too sensitive. Still, it's cool that it's there for those who want it, and it also makes the DeathAdder Chroma the mouse with the highest true DPI level we've yet seen. 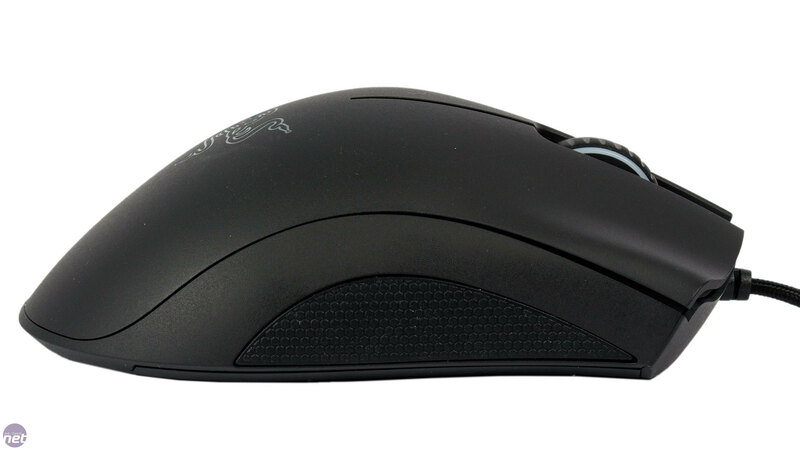 Ergonomically, the mouse is crafted for right hands. The main surface has a matt finish that's fairly smooth but still has a slight texture to it, making for a great balance between comfort and grip. 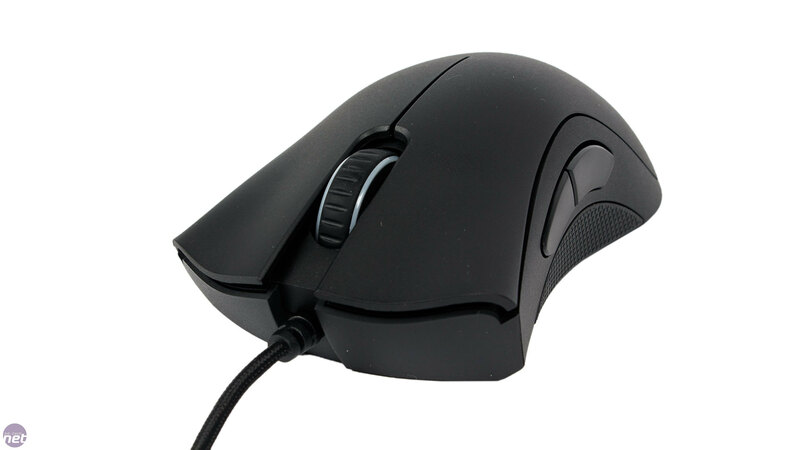 The two main buttons are contoured to keep your index and middle fingers in place, and for even more grip, both sides have textured rubber sections, which claw users will find particularly handy. Even as palm grippers, though, we found the grip on the right helped to prevent our ring and pinky fingers from falling off and dragging. 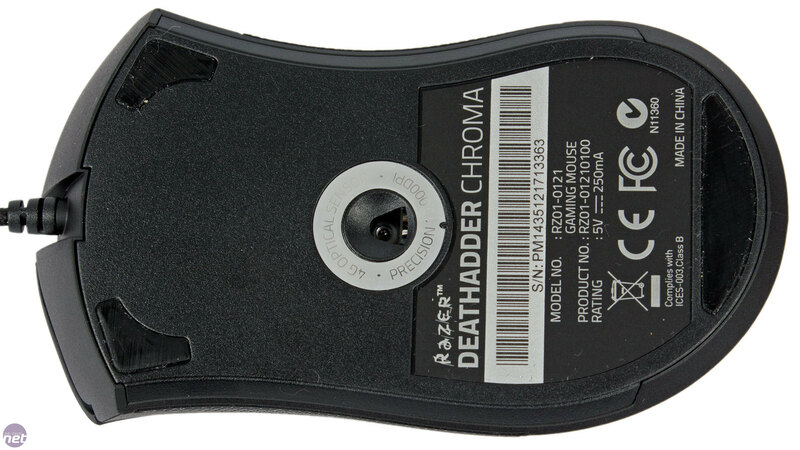 We did think the main hump could be slightly further back, but really we're nitpicking; we can't deny that the DeathAdder is comfortable to wield almost as soon as you take hold of it. On the underside are three Teflon feet, not particularly massive but big enough to ensure smooth movements. A thin 2m braided cable is securely attached to the centre up front and this never caused any drag in our experience. We also had no issues with the weighting (~105g, non-adjustable) and the weight distribution, though it should be noted that these cannot be altered. The two main buttons utilise Omron switches and have a low travel distance and appropriate level of resistance, making them neither too easy nor too hard to hit. The thumb buttons are positioned very well, though are slightly more resistant – these use Kailh switches instead. 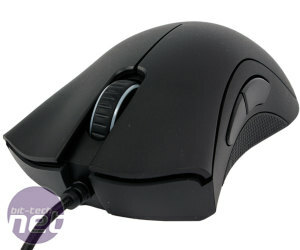 Finally, the rubber coated scroll wheel has clearly defined steps with no looseness or stiffness as you scroll.